Bamboa Panda Towel Hoodie and Bib Set - Lar..
Bamboa Sheep Towel Hoodie and Bib Set - Lar..
OXO Tot 4 Piece Feeding Set (Fork, Spoon, P..
OXO Tot Divided Feeding Dish with Removable..
OXO Tot Divided Plate with Removable Ring -..
OXO Tot Training Plate with Removable Ring ..
Nuby Wash or Toss Stackable Bowls with Lids..
Our eco-friendly Fibra dining set for kiddies is perfect for kiddies birthday parties, picnics and every day use. 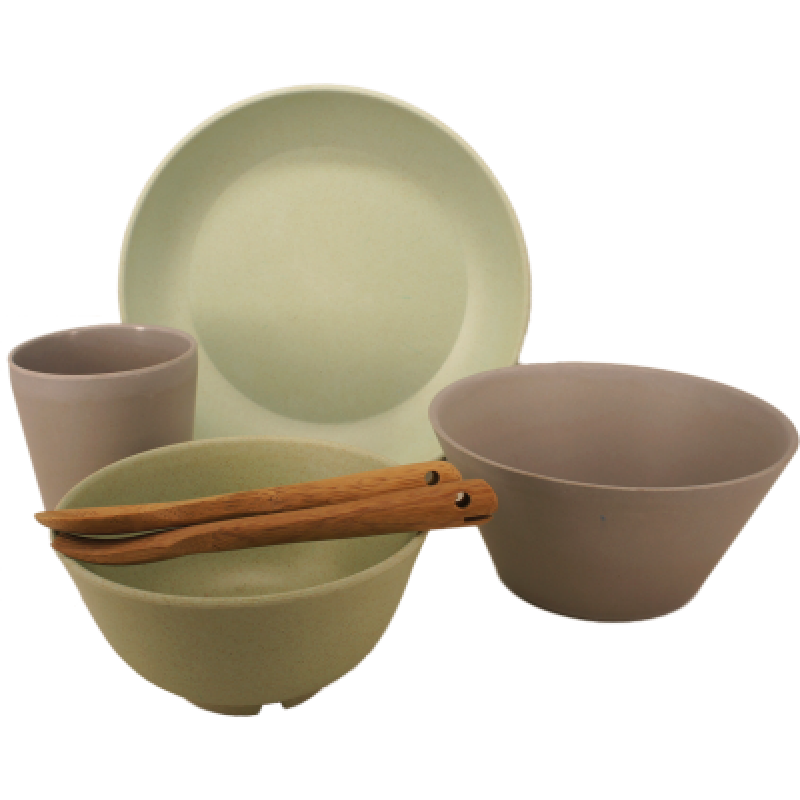 It has been tested and proven that if you transfer hot food straight from the oven, stove or microwave into a plastic or melamine, toxic components from the plastic or melamine can leach into your food and make you ill. Why take the risk when feeding your children? 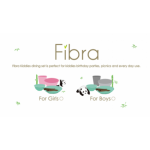 Bamboa has the ultimate green and safe solution for serving your little ones: It is a six-piece set, made from compressed bamboo fiber and plant based colours. It is durable, unbreakable and biodegrades within two months once it is buried under the soil. Toddlers will also love our whale shaped fork and spoon that come with it! 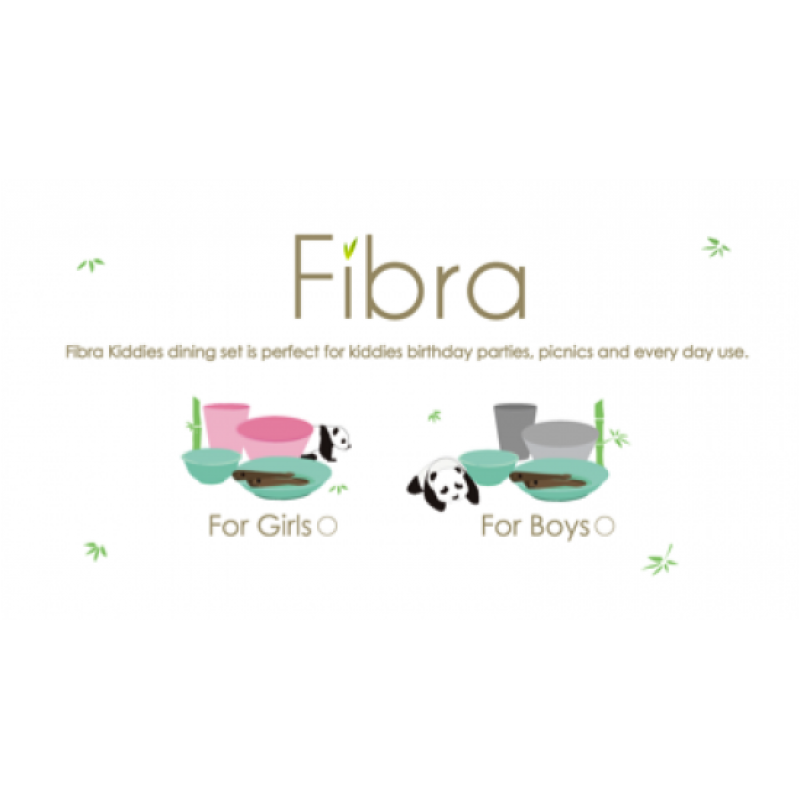 The Fibra Kiddies Set comes in two colour combinations, one for girls and one for boys.